Obviously the Riu hotels are popular for all inclusive. The Riu Karamboa is the nearest to the airport and Sal Rei but the Riu Toureg is miles from anywhere, 60 Euro return to town! For the more adventurous, two companies rent apartments in and around town, these are "The Utility room" and "Blue Banana". In the town of Sal Rei is the locally run 'Boa Vista Hotel' and 'Hotel Nas', both of which do half board. 'Casa Boteto lda' is also recommended for kite and board surfers with secure storage for equipment. Can you recommend places to stay on Boavista? 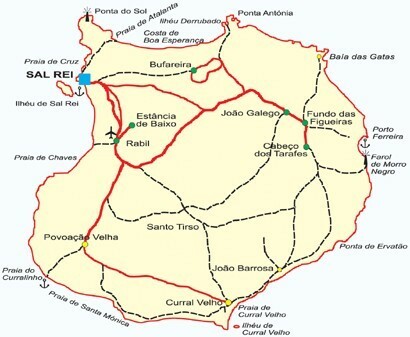 The town of Sal Rei is the capital of Boa Vista, it appears as if there is nothing there on first look, but there are many bars and restaurants hidden around corners etc (contact me) lol. Out of town you have numerous small quaint olde world villages. The Artesanato in Rabil is worth a visit where you can watch the locals make pottery items for tourists at reasonable prices. Another good visit is the 'Vi'Anna' desert, with several square miles of white dunes. There are many tour companies that will do a full island tour which can take around six hours or so, but generally include a lunch in a small cafe in one of the villages, but many do half day, north or south tours, these are mostly done in Toyota Hilux that can take 8 people. There are also Quad bike tours for the more serious off roading, the best of these in my opinion is Cabocomfort Tours who have good quality new quads with back rests for the passenger etc. There are several kite and board surfing clubs along Chaves Beach which do rentals and instruction if required, catamaran tours are available throughout the year the can take around 60 people, and at the right time of year they will do whale watching trips as well, although there are some private hire motor boats that will do also provide this trip. Again, at the right time of year turtle watching tours are available but mostly through the hotels and some tour companies. Can you recommend things to do and see on Boavista? There are many restaurants on Boa Vista covering all tastes and prices, although most serve many fish dishes with pork and chicken as another choice, 'Cabocafe' is good for a romantic evening as is 'El Mirador', both have good views over the sea from their rooftop tables, for daytime food I recommend 'Bia Cafe' which serves a good plate of the day for just 400esc, this can be anything from tuna to beef stew, just see what turns up!! At the other end of the price scale is 'Perola de Chaves', but the setting is beautiful and you can watch the sun go down whilst eating top quality food. Bar wise, ( my domain hehe!) 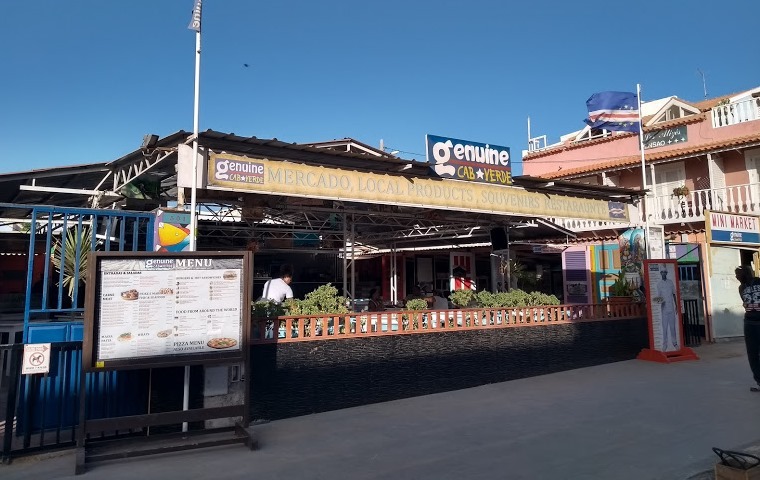 in the town centre is 'Esplanade Silves' a good stopping place in the centre of town from which to explore, 'Ca Baby' is an Italian cafe which has a wide range of drinks at good prices and is recommended. There is also the cocktail bar in the square and there are many smaller bars in the back streets too numerous to mention. If you want to take a 2 minute taxi ride from the plaza to Cabral beach, you can go to 'Etc bar', or a little further (200 yards) there is 'Elcibar' at Vila Cabral which serves good cocktails and drinks, the menu is varied with a few Belgian dishes thrown in, you will also have access to a fresh water pool and sunbeds. Can you recommend restaurants on Boavista?